It’s Teams week at Limnu and we’re celebrating distributed teams and remote workers. 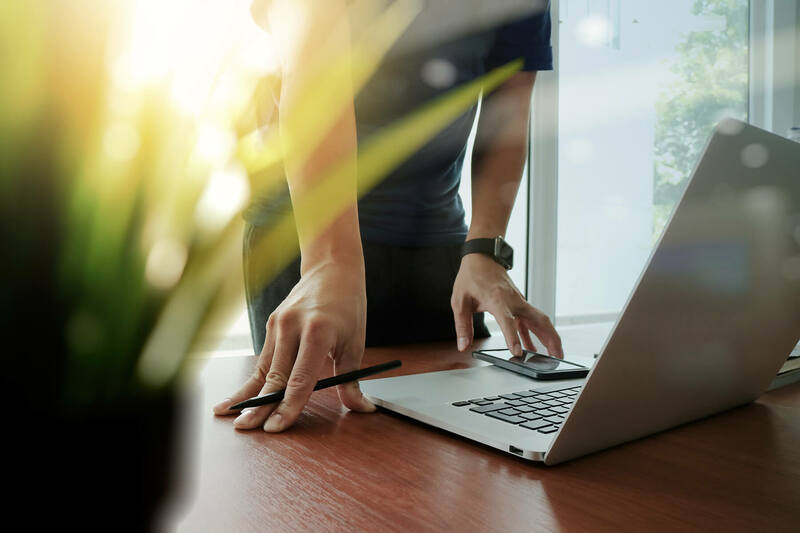 In my last article, 11 Things to Know When You Are New to Remote Work, I mentioned the explosion of online collaboration tools and how that makes this such a great time to be a remote worker. I’m in charge of User Interface and User Experience (UI/UX) design at Limnu, and while I occasionally work onsite with most of the team, I also do a lot of remote work. Limnu is one of a handful of my UI/UX clients, some of them are in Salt Lake City, but others are in LA and NYC. Here are the process and tools I use, as a remote worker, to collaborate with clients on a small UX project. The Problem — My client’s customers are opting to “delete” a piece of data in their accounts rather than just remove it (so they can reactivate this part of their account at a later date). This is a problem because customers have to recreate this part of their accounts, and it takes time - time they could be using on other parts of the product. The Constraints — Changing the user flow or the way data is handled will take too much time and energy, and we all know how important it is to prioritize time and energy. The only short-term fix is to try and explain why a customer doesn’t want to “delete” instead of “remove” this piece of account information using a pop-up window. The client, who is a bunch of wicked smart engineers, made this screen as heinous and ugly as possible, using reds, oranges, really garish colors to try to dissuade the accidental deletions. It’s not helping. We discussed that the current solution isn’t working because nobody reads. They hit delete, something happens, they confirm and BAM! user information gets nuked. I suggest they need a way to slow the user down, put a hurdle in their way that is more deliberate, and also give them a secondary option. We fire up Limnu to get on the same whiteboard to sketch out the idea because I’m not in the office. 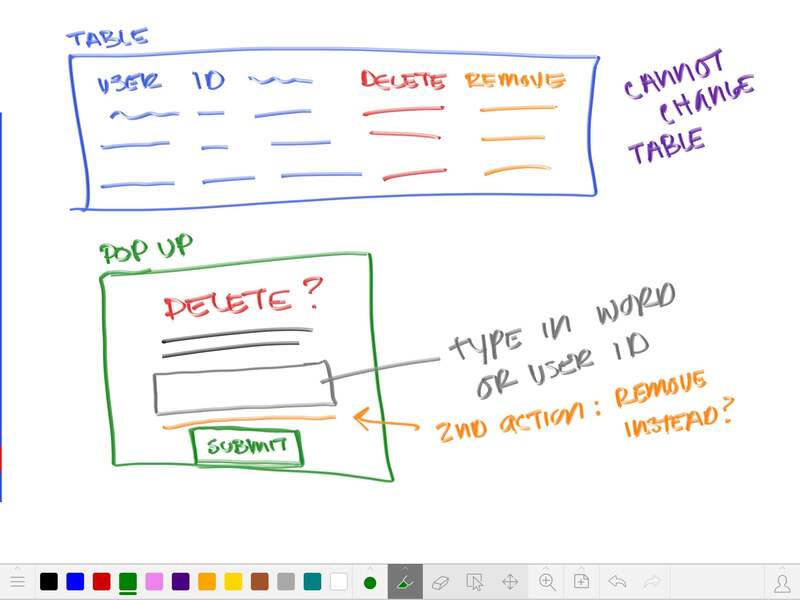 Over video chat, we discuss a box where they type either “DELETE” or enter the user number as an exact match to delete; we draw out the idea on the whiteboard as we talk. 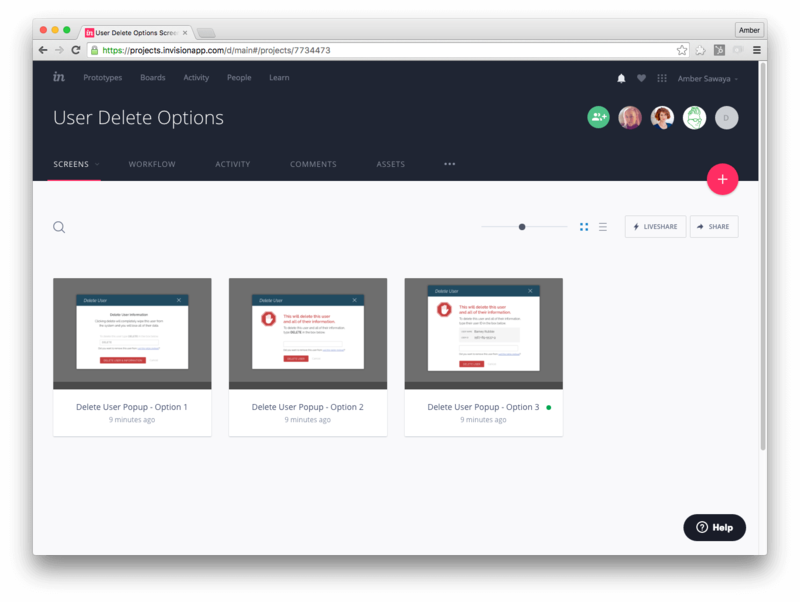 I pull together the design in Sketch and post a couple of options in InVision for the client to review. They comment, we iterate, and eventually a design is approved for development. The client handles the development in their office. 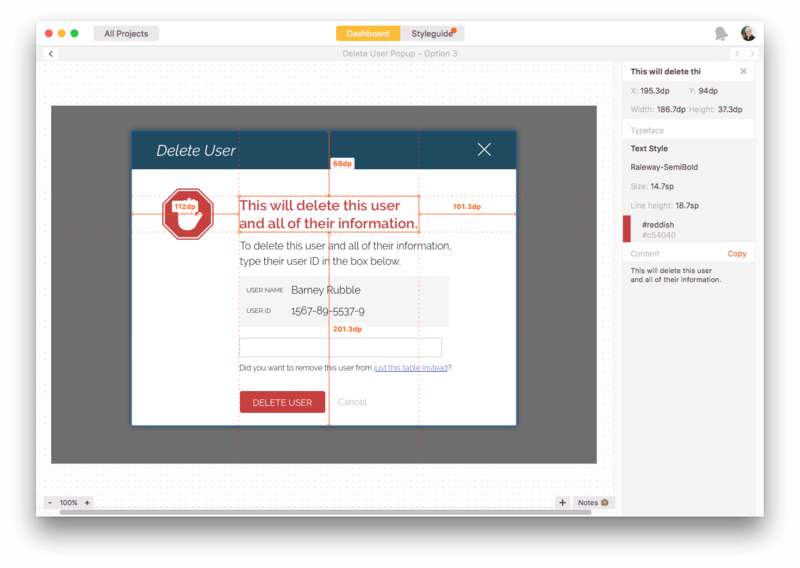 Thank goodness for Zeplin! No more documenting styles or going over the font choices. I push the design from Sketch to Zeplin, and share it with the client. From there they build the HTML and deploy the solution. Most companies won’t need a full-time UI/UX employee. Creating an amazing online user interface is a specialized focus of graphic design and the same person that makes your company brochures and banner ads may not always be the right person for your UI projects. This makes a UI/UX focus perfect for remote workers. The current crop of online collaboration tools makes all the difference, shortening design time, revisions, and the approval process — no need to sit in a conference room with a whiteboard or go back to that same conference room to review the design. We, as designers, don’t have to create detailed development guides then sit with developers to ask them to push the button 2px to the left, which shortens the time to execute. The ability to hire remote UX designers gives companies the flexibility to hire the best and only call on them when there is a problem that needs a specialized solution. Sketch — don’t you seriously love Sketch? I wanted to include it even though it’s not an online tool. It’s the software for UI design that exports to both InVision and Zeplin. Are you a remote UX designer? Is there anything you would add to the list? Hit us up on twitter @LimnuApp. UX goes far beyond user interfaces, check out some of our favorite tweets about user experience — how it applies to throwing caltrops in a moving vehicle, facilitating better meetings, and setting up a design library so all users can get what they need.